We are offering Flights to Mumbai. We are skilled, proficient and qualified travel consultants who provide excellent solutions to the people who looking for cheap flights to Mumbai. To get the flight details and reservations please call us on 0207 993 4189. For the easy and satisfaction of our valuable customers, we also provide the facility to send an enquiry via e-mail. 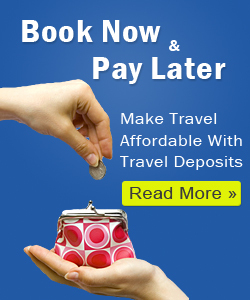 We assure you that the flight deal to Mumbai we provide will always be what you dream of. We also offer amazing packages of Mumbai which make arrangements for affordable accommodations along with low cost flights to Mumbai. We cover every single airport inside the UK, thus getting all the available Mumbai flights on all major airlines. Chhatrapati Shivaji International Airport is India busiest airport and one of the main international gateways to the country. Many international airlines such as British Airways, Lufthansa, Iberia, Alitalia, KLM, Emirates, & Malaysia Airlines , Singapore Airlines , fly into Mumbai. Low-cost carriers such as Qantas Airways, AirAsia also fly to the city. Mumbai has excellent connectivity with most of the major cities around the world, including, New-York, Toronto, London, Dubai, Kuwait City, Hong Kong, Beijing to name a few. If you are flying from Europe it is generally cheaper to fly from London, and there are many flights daily. Most of the domestic sectors too are linked to Mumbai, making it the busiest hub in the country.